At 9am on Friday April 5th, Melbourne had only received 42.0mm of rain since the beginning of 2019. This is the city's lowest amount of rain to this point in the year on record, with data available back to the 1850's. Melbourne would usually have picked up around 150mm of rain by this point in the year. 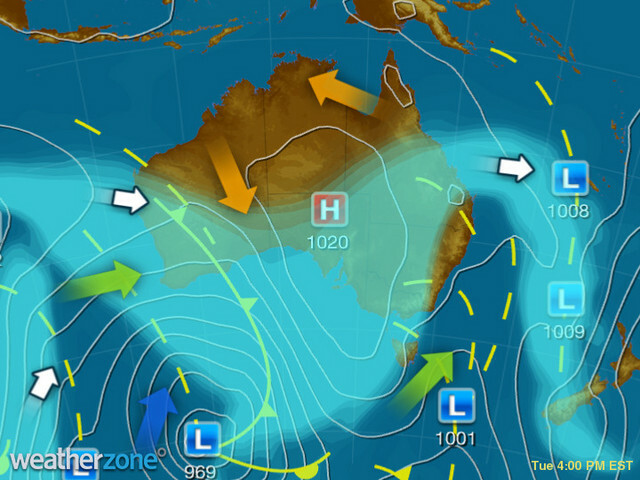 A lack of strong cold fronts during the last few months caused the record-dry start to the year in Melbourne. Rainfall for the period from January and March was in the lowest 10 percent of historical records for much of central and western Victoria. For some places, it was the lowest on record for this period. Looking ahead, there are no strong indications that rainfall will be above or below average during the next three months in Victoria. Visit http://www.bom.gov.au/climate/outlooks for more information on the Bureau's seasonal outlook.